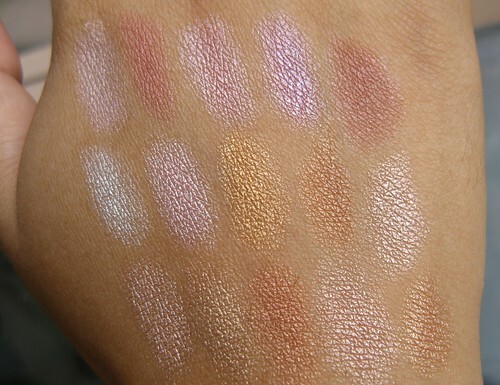 Do you love shimmery neutral eyeshadows? I do! Shimmer keeps eyes looking bright and awake while neutral colors give eyes that fresh, not-too-made-up look. This is why I got excited when Pearl alerted me about one of her newest palettes, the 15-color Neutral Palette. The eyeshadows are fine and not chunky. They’re easy to apply and I don’t even use a base or foil them. Pans are about the same size as a five-peso coin. This’ll take forever to finish up. Great for girls on the go - it’s just 4×6 inches so you can easily fit it in a purse or a slim bag. It’s very light! Really cheap. It’s a steal for P650! Some colors look similar at first glance, such as the pinks. You’ll need to look closer to see the nuances. The coppers/bronzes/golds look similar in the swatch, but trust me, they look a lot different in person. As you can see in the swatches, the dark colors on the pan aren’t dark at all once applied. They’re true neutral colors, so you can’t use the dark plum and coppers on their own for crease colors. They’re great for added dimension, but if you want a defined crease, these aren’t the eyeshadows to use. Verdict? This is a great product to have around when you need quick, fuss-free eye makeup before leaving for work or when you need a quick fix while in a car or a plane. 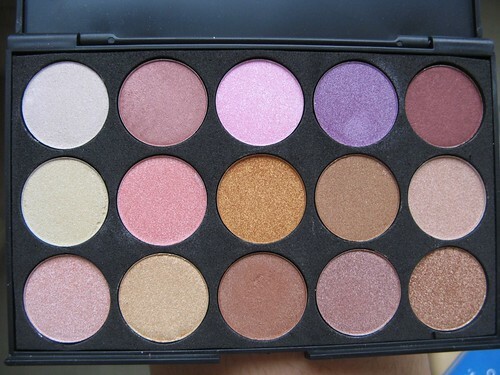 I’ve been using this almost everyday lately when I feel too lazy to think about color combinations or blend eyeshadows.I just pick two coordinating shades (I love the white gold in the 3rd row, 2nd column with the gold in the 2nd row, 3rd column), pat them on with a fluffy eyeshadow brush and I’m good to go! This is such a time-saver without requiring me to sacrifice nice eye makeup. Here’s a look I did using the palette’s pinks and plums.